March 2011 New Mystery Releases! As I write this, it's Friday night, and a big storm front is supposed to be moving in from the West. (California loves to share.) Lots of snow in the high country, and even some snow down here in parts of the Valley-- plus a half inch of rain or so. When your annual rainfall is seven inches, that half inch is important... and so's all that snow in the high country. Vast sections of the West are dependent upon snow melt for water. If the weekend is going to be rainy, I'm going to be warm and reading. 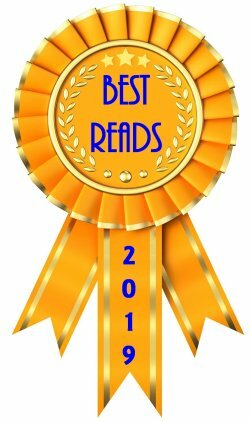 I've already got a couple of books lined up: The Headhunter's Daughter by Tamar Myers and The Janus Stone by Elly Griffiths. If I need more, I have plenty to choose from. Of course, all this doesn't keep me from wondering what new mysteries are in store for me, so I've been taking a look. 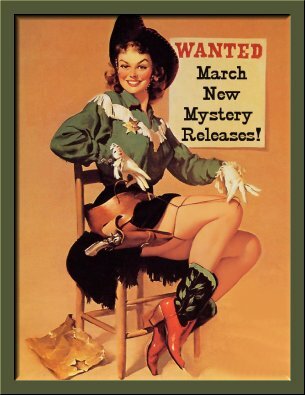 The following books are my top picks for mysteries being released in March. The titles are grouped by release dates, and I've included the information you'll need to find them at all your favorite book spots. I hope one or two of these titles have you drooling, too! "While walking her poodle, Olivia Limoges discovers a dead body buried in the sand. Could it be connected to the bizarre burglaries plaguing Oyster Bay, North Carolina? At every crime scene, the thieves set up odd tableaus: a stick of butter with a knife through it, dolls with silver spoons in their mouths, a deck of cards with a missing queen. Olivia realizes each setup represents a cliché. 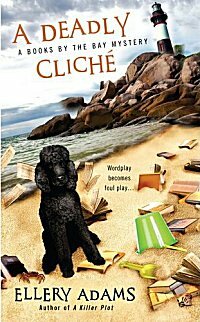 And who better to decode the cliché clues than her Bayside Book Writers group?" "Long before he became curator of the Duck Historical Museum, Max Caudle discovered its greatest treasure-a wooden chest full of gold. But a thief with his eye on the gold fires a cannonball into the museum, destroying the building-and killing Max. Injured in the explosion, Dae finds her abilities have been amplified, overwhelming her with intense visions every time she touches an object. Now if ex-FBI agent-and burgeoning beau-Kevin Brickman can help Dae decipher her visions, she just might be able to stop the modern-day buccaneer from killing again." 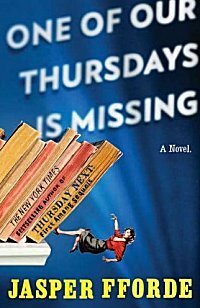 "With the real Thursday Next missing, the 'written' Thursday Next leaves her book to undertake an assignment for the Jurisfiction Accident Investigation Department, in Fforde's wild and wacky sixth BookWorld novel. As written Thursday Next finds herself playing roles intended for her real counterpart, BookWorld's elite try to deal with a border dispute between Racy Novel and Women's Fiction. It's not always possible to know where one is in BookWorld, which has been drastically remade, or in Fforde's book, which shares the madcap makeup of Alice in Wonderland, even borrowing Alice's dodo. Outrageous puns (e.g., a restaurant called Inn Uendo) and clever observations relating to the real book world (e.g., the inhabitants of 'Vanity' island now prefer Self-Published or Collaborative) abound. 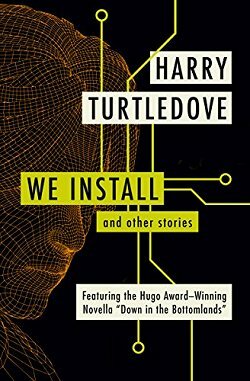 Fforde's diabolical meshing of insight and humor makes a 'mimefield' both frightening and funny, while the reader must traverse a volume that's a minefield of unexpected and amusing twists." 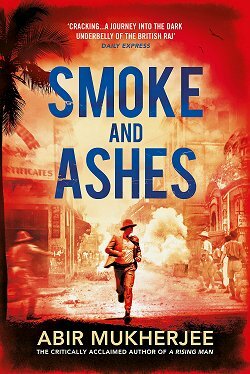 "Thompson's stellar second thriller featuring Insp. Kari Vaara (after Snow Angels) finds Vaara working as a homicide detective in Helsinki, where he investigates the torture murder of Iisa Filippov. While Vaara suspects the victim's Russian husband, Ivan, he can't touch Ivan because the Russian is well connected within the police department. Vaara also looks into international accusations of war crimes against a Finnish national hero, 90-year-old Arvid Lahtinen, who allegedly executed Jews and other POWs at a secret Finnish stalag during WWII. But he soon learns that not only did his own grandfather serve in the same unit but the stalag is just one of the wartime secrets Lahtinen is hiding that are potentially embarrassing to the Finnish government. The arrival of Vaara's pregnant wife's brother and sister from the States doesn't make his home life easy. 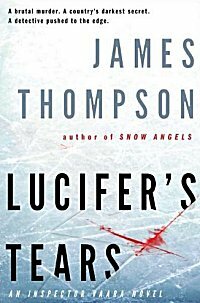 Thompson elegantly threads Finland's compelling national history with Vaara's own demons in this taut, emotionally wrought novel." "British author Atkinson's magnificently plotted fourth novel featuring Jackson Brodie takes the 'semi-retired' PI back to his Yorkshire hometown to trace the biological parents of Hope McMasters, a woman adopted by a couple in the 1970s at age two. Jackson is faced with more questions than answers when Hope's parents aren't in any database nor is her adoption on record. In the author's signature multilayered style, she shifts between past and present, interweaving the stories of Tracy Waterhouse, a recently retired detective superintendent now in charge of security at a Leeds mall, and aging actress Tilly Squires. On the same day that Jackson and Tilly are in the mall, Tracy makes a snap decision that will have lasting consequences for everyone. 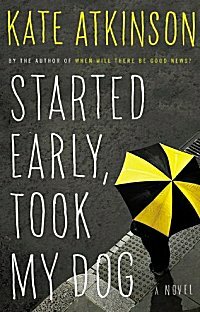 Atkinson injects wit even in the bleakest moments—such as Jackson's newfound appreciation for poetry, evoked in the Emily Dickinson–inspired title—yet never loses her razor-sharp edge." 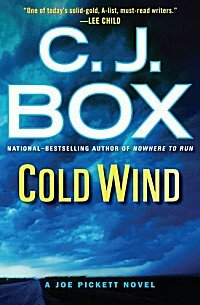 "When Earl Alden is found dead, dangling from a wind turbine, it's his wife, Missy, who is arrested. Unfortunately for Joe Pickett, Missy is his mother-in- law, a woman he dislikes heartily, and now he doesn't know what to do-especially when the early signs point to her being guilty as sin. But then things happen to make Joe wonder: Is Earl's death what it appears to be? Is Missy being set up? He has the county DA and sheriff on one side, his wife on the other, his estranged friend Nate on a lethal mission of his own, and some powerful interests breathing down his neck. Whichever way this goes . . . it's not going to be good." 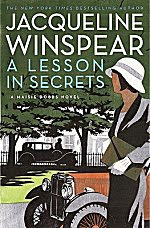 "Maisie finds herself financially independent, thanks to a bequest from her late mentor, Dr. Maurice Blanche, and open to new challenges exactly at the moment the British Secret Service seeks to recruit her in 1932. Greville Liddicote, the author of a pacifist children's book that the government went to great pains to suppress during WWI, has founded a college in Cambridge devoted to maintaining peace in Europe. To keep tabs on Liddicote, Maisie infiltrates his school under the guise of a philosophy teacher. When a staff member is murdered, she reverts to her old profession and works to aid the police inquiry from the inside." 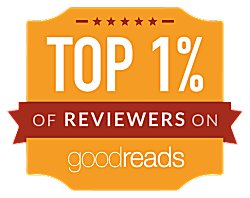 "In Mankell's masterful 11th novel featuring Kurt Wallander (and likely the last in this internationally bestselling series, according to Sonny Mehta's note to the reader), the 60-year-old Swedish detective unofficially pursues a baffling case that's part mystery, part spy thriller. At the 75th birthday party for Håkan von Enke (the 'troubled man' of the title), von Enke, a retired Swedish naval commander, tells Wallander about a 1980 incident involving an unidentified submarine that 'invaded Swedish territorial waters.' Von Enke was about to fire depth charges to bring the sub to the surface when higher-ups ordered him to abort. A few days after von Enke confides in the detective, he disappears; shortly after, his wife goes missing as well. 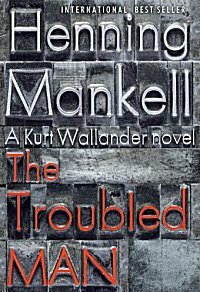 As Wallander's quest for the truth leads him back to the era of cold war espionage, Mankell deftly interweaves the problems of Swedish society with the personal challenges of one man trying to understand what happened and why." 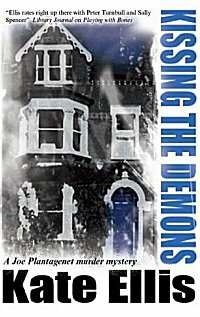 "13 Torland Place is a house with a disturbing past. Not only was it the scene of five terrible murders back in the 19th century, but the place is also linked to the disappearance of two teenage girls. When a student living in the house is found murdered, DI Plantagenet wonders whether her death has anything to do with the house's history." One of Our Thursdays is Missing cam out slighty earlier over here, so I have my (signed) copy ready to go. I realy love Jasper Fforde's writing style- he is hilarious! Lots of good mysteries. 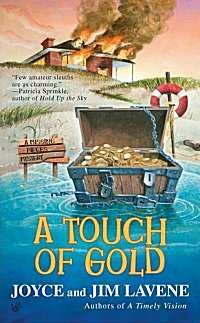 I'm looking forward to A Touch of Gold myself. neeuqfonafamai-- Fforde is one of my favorites, too. Thanks for stopping by! Kris-- I liked how the first two were both set on the North Carolina coast.